Batik is the chosen medium of illustrator and artist Lynn Blaikie. 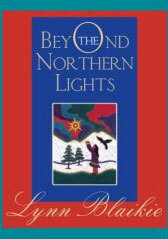 This book relies mostly on elements from First Nations narratives and figurative art, especially in its representations of the natural world. There are symbols from Christianity here as well, integrated with taste and subtlety into the more traditional evocations of man's spiritual connection to animals in their various habitats.